I’m an unrepentant omnivore. I try to have a mostly plant based diet, but I do eat meat. And yes, I enjoy a good steak or roast on occasion. But most of all I enjoy my family’s holiday tradition of a beef roast on Christmas Eve, so when it came time to shop for it I knew where to head. 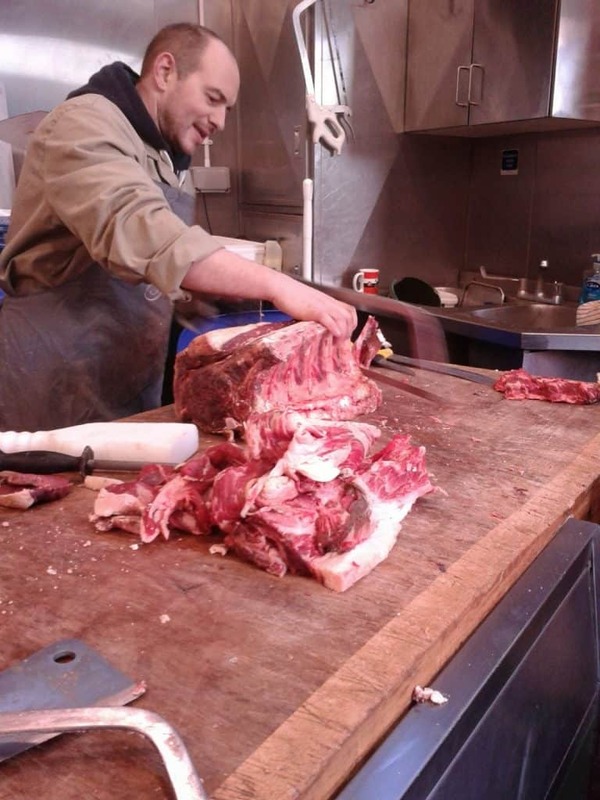 I’ve written about the wonders of Borough Market before, so suffice it to say off we went! 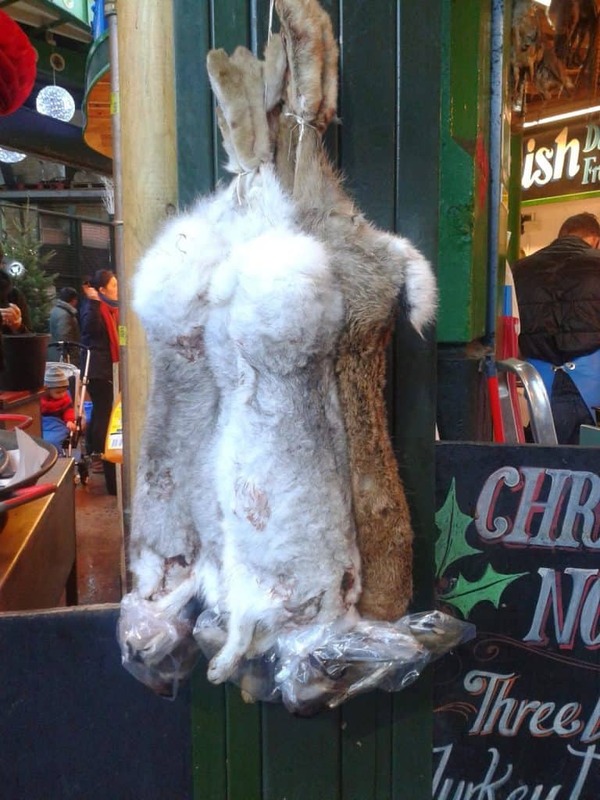 Borough Market always has meat on display, but the holiday season spread is quite impressive. In addition to the typical beef, chicken, and mutton, there is also rabbit, boar, venison, and fowl of every description filling the stalls. It’s very British, and oddly extremely festive! Stick with me, these Christmas delicacies are about to become significant. 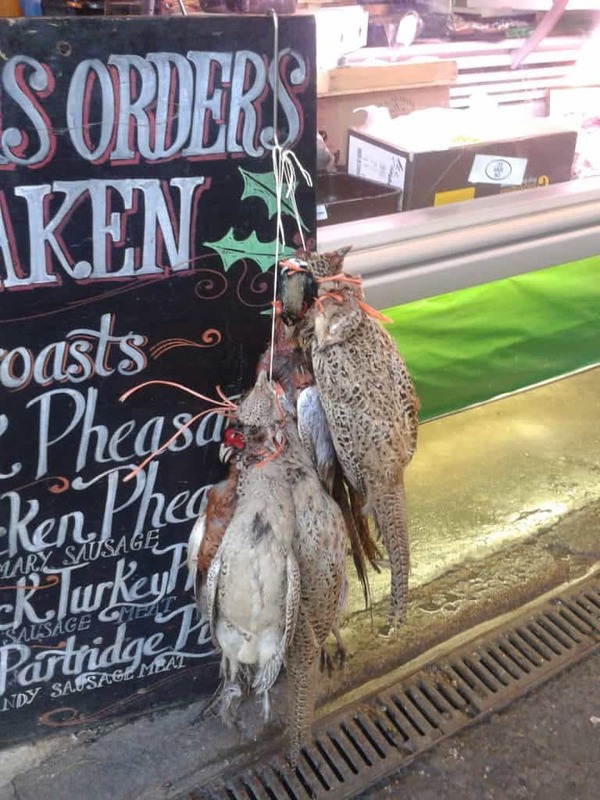 While my husband and I were wandering the butchers’ stalls looking for the perfect cut of meat, we bumped into a pair of American tourists who were cringing away from a brace of pheasants and a display of chickens which had been plucked, but whose feet had not yet been removed. The reason this struck me as odd was because the girl in question was holding a fast food wrapper and was clearly eating what passes for meat from that particular company. I thought it strange for these individuals to be chowing down on a handful of highly processed product that a lot of people would hesitate to even classify as food (I’m trying to be at least semi-impartial here, but in the spirit of full disclosure, I avoid fast food franchises like the plague), while recoiling from the actual source of their food right in front of them. They wandered off opining loudly on the “weirdness” of the stalls around them. And I got thinking. This girl cringing away from dead birds…where exactly did she think the item in her hand came from originally? Urban and suburban living has spent a century catapulting itself away from food production areas. The more I thought about this girl’s reaction, the more I realized that it was entirely possible that she had never seen a dead animal in her life. Our consumer culture has hidden much of our food production from our sight. We literally don’t get to see how the sausage gets made, but I don’t think we are removed from any food processing so much as we are from meat. Just think about how many steps it takes to turn a living creature into a neat parcel of ground tissue wrapped in plastic! 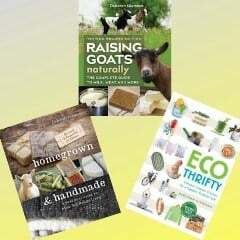 Instead of farming, rearing, and butchering their food, all the average consumer has to do is pluck it from a shelf. I had thought about this issue before, but largely as an intellectual exercise, in the way that a lot of young 21st century armchair philosophers do. This was really a first experience in witnessing the behavior I’ve shaken my head over while listening to public broadcasting or reading in slightly snobby articles. It made a deep impression on me, as I’m still clearly thinking about it nearly two months later. Carrying home our prize piece of beef from the market, my husband and I were discussing the tourist’s disgust and what it meant. We both try very hard to be thoughtful people, to make informed choices that keep us, the society in which we live, and as much, the planet healthy. But the truth is we have been pretty casual about meat. We try to buy ethically but there have been times (first as starving students and then as starving newlyweds) where affording organically sourced meat was utterly beyond our financial scope. And even now, living just a short walk away from one of the most famous markets in the world, I have often gone for the convenience of a supermarket that’s a shorter walk away instead. The actual ribs making up a rack of…ribs. But this brief interaction with a tourist has really made me reconsider my relationship with meat. Her visceral reaction to something that she ingests regularly bothered me. I’m not giving it up (like I said, unrepentant omnivore), but I decided to become more purposeful about where I source my meat from. I never want to turn into a person who looks at a laden butcher’s block and feels surprised, shocked, or uncomfortable to see a recognizable creature there. Because ultimately, that is where my food comes from. It did not fall from the sky, packaged and processed into aesthetic bits that obscure the fact that it was once living tissue. 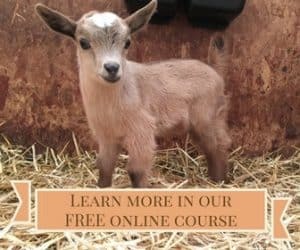 And I have a responsibility to understand the amount of work rearing an animal takes, the messiness of harvesting and butchering it, the cost of purchasing it (another thing that our plastic wrapped culture hides…quality meat simply costs more), and so on. Which means I have a responsibility to look what I eat in the eye better than I have done heretofore. Recently alive. A fact we need to appreciate if we’re going to eat it. 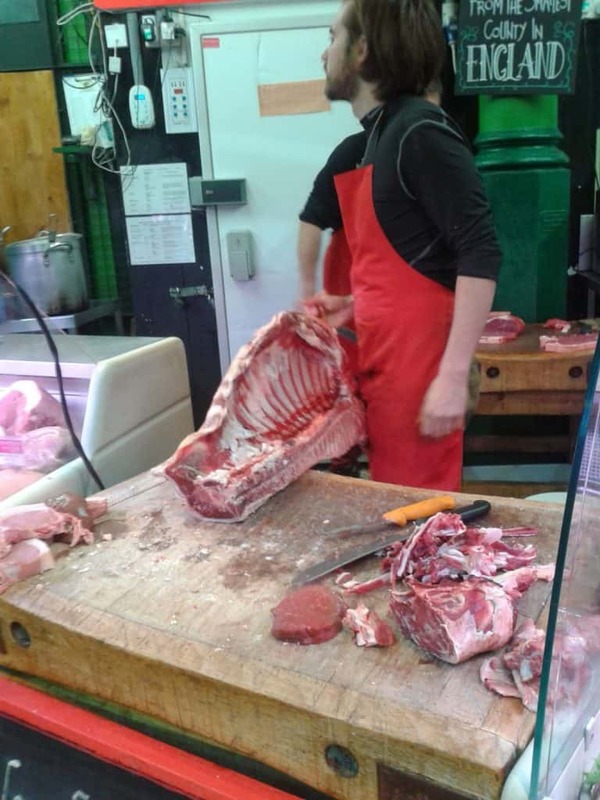 I’ve decided to reduce my consumption of meat, to pay more for better quality meat that has been ethically sourced, and to buy it solely (to the absolute and very best of my ability) from the people who can show me where it comes from – namely, the professional butchers. From now on as long as I live in London, I will be buying my meat from the market stalls instead of the supermarket aisles. Because I’ve seen the alternative. And it wasn’t just embarrassing to watch two loudmouth tourists go off rudely in someone else’s workspace, it was a bit scary to consider the implications of their outburst.